Click HERE to visit BeforeTheRings on Etsy! 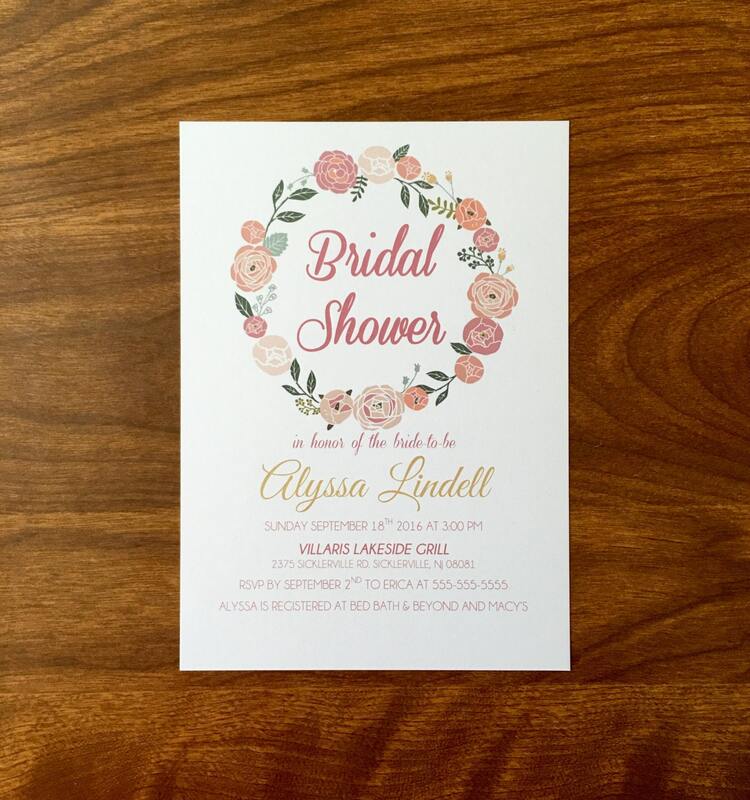 Custom, made to order, Floral/Vintage bridal shower invitations! There are a variety of these in my shop, check the others and see what you like best! Message me for custom colors. 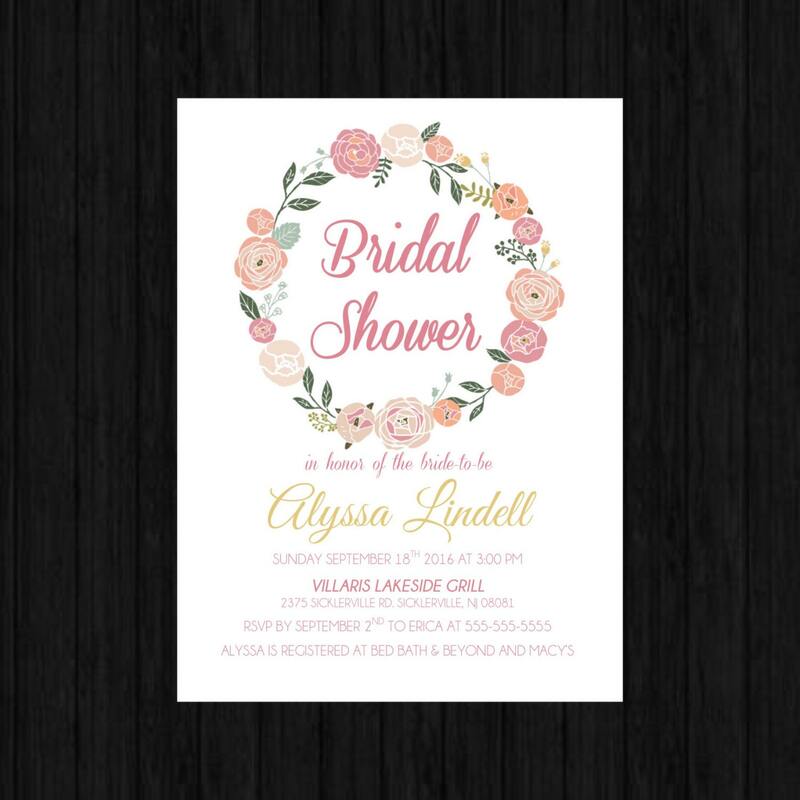 Prior to sending you your final order, I will send you a picture of the invitation so you can add/edit anything you'd like. 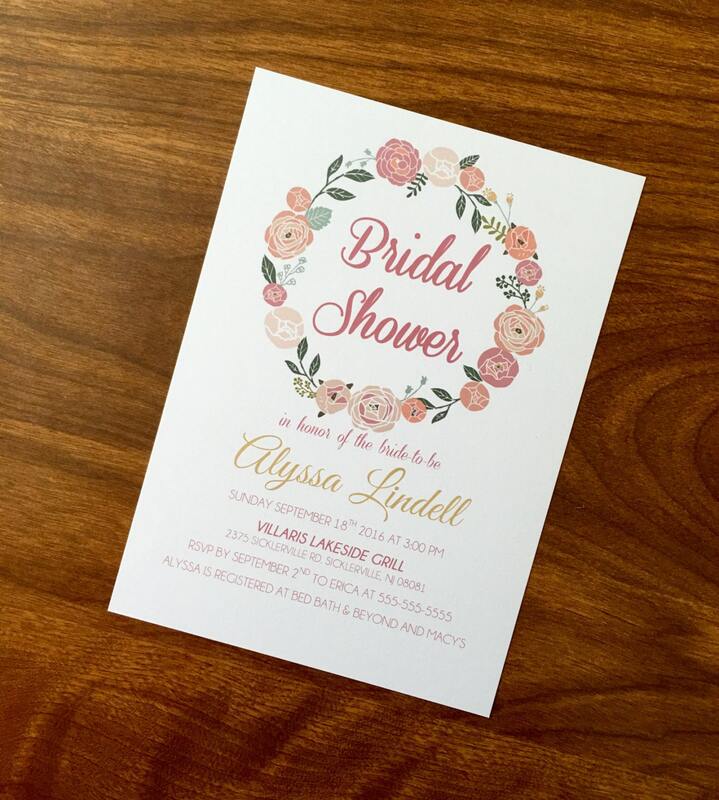 I am extremely easy to work with and will make sure you are 100% satisfied with your invitation! You will receive your PDF in 1-2 business days. Thanks again! Contact me with any questions. 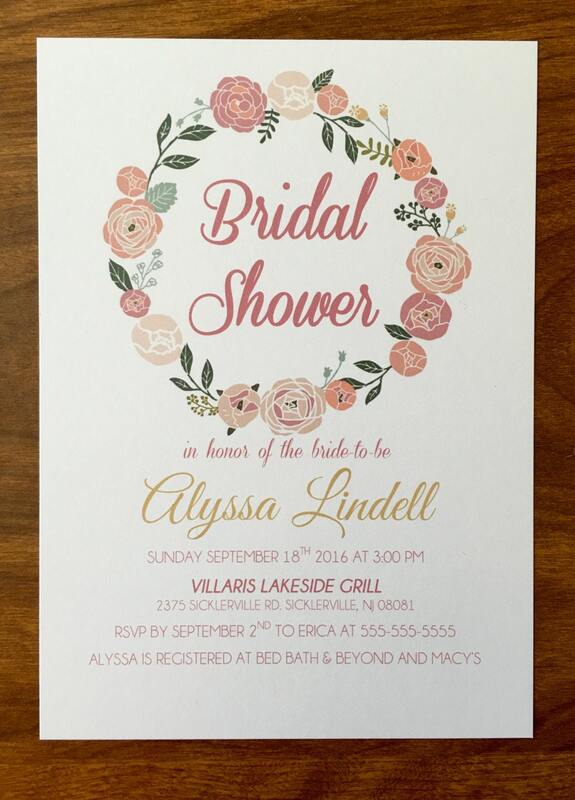 How soon will I receive my invitations after I place my order? As soon as you order, a proof will be sent within 24-48 hours of your invitation, sometimes sooner. Once you approve, it takes about 3-5 days to make them and ship them out. They ship priority 2-day mail. All in all, one week from your order. If needed sooner, we can also accommodate, just ask. Can I pay for faster shipping? You can upgrade to priority 1-2 day mail. This does not mean that production time is faster. Items usually take 1-4 days to make. They will then ship with a quicker shipping speed. If you need an item much sooner, just message me and we can work out the details. I need this next day, is this possible? Yes. You will have to pay for overnight shipping and a rush order fee. Message me for details prior to checking out so you can see what your costs will be. If you need a bigger or smaller shirt and it isn't name customized, I will accept an exchange and will send out a new shirt. You are responsible for shipping back to me and shipping for your new order. I will give you details about all of that. 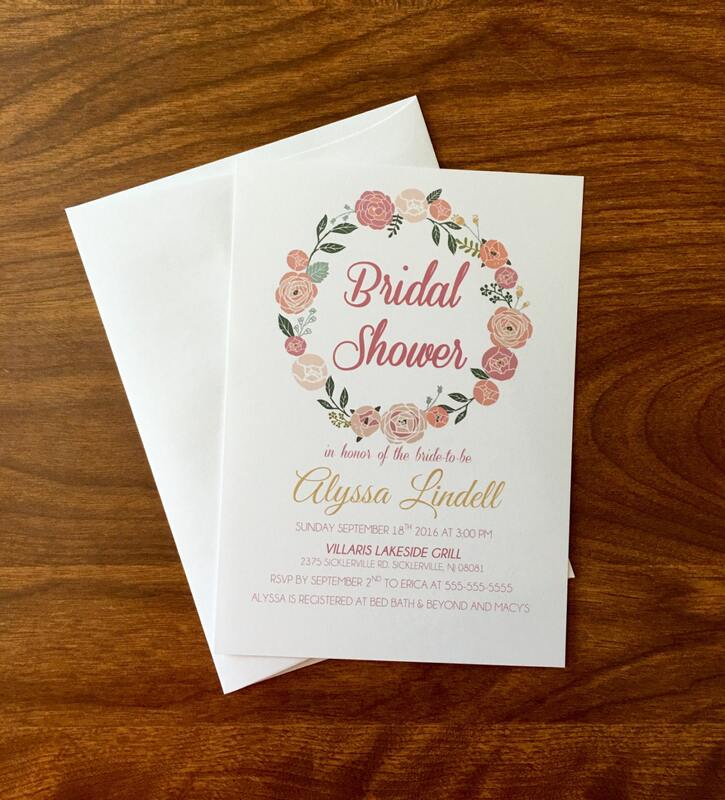 All invitations and products go through a proofing process where the customer is responsible for approving their order as is. Once it is approved, a typo can not be corrected. You will have to reorder your items if desired. Do labels come attached to tic tags or chap sticks? No. All items that are perishable, cosmetic or food cannot be opened or tampered with before shipping out to a customer. This means that original tic tac labels need to be adhered to the tic tacs when shipped to show that they were not opened. Same with certain items in my shop that require labels. All items have labels that are easy to remove and then you just peel and stick new ones on. An item is incorrect or broken, now what? Message me right away so we can fix this issue. With pictures, I can replace the items that are damaged.